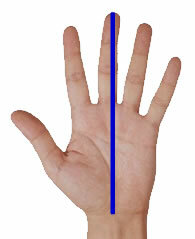 Measure from the bottom edge of palm to the tip of your middle finger to determine your 'finger length' size. 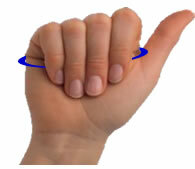 Wrap a measuring tape around your dominant hand just below knuckles, excluding your thumb, and make a fist. This measurement is your 'hand width' glove size.